As we head into the last few weeks before the end of the year, and with cargo running at very strong levels it is appropriate to bring our readers up to date on various developments that have an impact on the world of ULD! First of all, we must mention the recent ULD CARE annual conference in Budapest. This is the 30th such gathering, a very respectable number, and while it might be incorrect to describe this meeting as “the best one yet” it was certainly very productive from a number of angles. 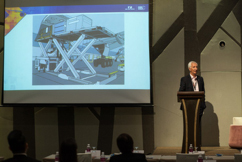 This year we not only co-located with Air Cargo Handling (ACH) but also ran joint workshops and a joint plenary session, with ULD getting very significant exposure. Thank you to those of you who have completed our post conference survey, for those still to do so please take a few minutes to complete the survey, it will assist us to improve our offering for next year. And talking of next year, discussions on our next location and dates are ongoing, but as is the usual practice we will be announcing a location before the end of 2017. 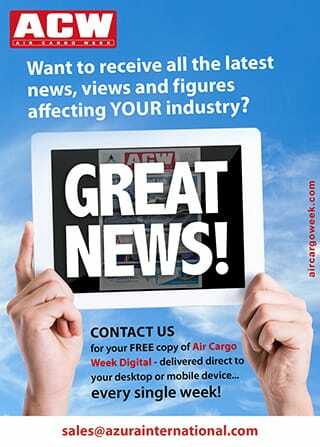 There is a great deal going on in the industry at present, on the commercial side it’s encouraging to see that air cargo is enjoying an upbeat period, long may it last, however the owners and operators of ULD face many challenges, the foremost of which must be that each and every ULD being loaded on board an aircraft is required to be airworthy, and that to achieve this requires everyone’s “buy in”, it’s no good thinking that safety is the responsibility of the next person down the chain, as they may be thinking it was already taken care by the person up the chain. Safety is everyone’s responsibility, yet to a great extent the conditions in which ULD operate don’t make it any easier for safety to be observed. First of all, there is now a widespread acknowledgement that employee retention and turnover is a major problem in the ground handling and air cargo industry. In many cases staff are being paid minimum wage, and expected to work unsocial hours and conditions, it’s not surprising many decide they prefer working in a more pleasant environment such as a coffee shop or supermarket! 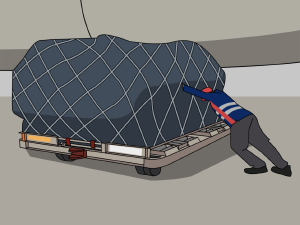 Secondly is that the processes carried out on the ramp, between the cargo terminals and the aircraft door have hardly changed in over 40 years, the basics of moving a ULD from the cargo terminal to the aircraft door still relies on trains of dollies and a cargo loader, with manual power being required to move the ULD. What other indusrtrial processes have remained unchanged for 40+ years? Now, ULD CARE cannot expect to change the wages being paid on the ramp nor inspire a sudden introduction of new technology, indeed the aircraft being built today will be around in 40 years time so much of the loading processes will remain unchanged for many years to come. If the manner in which ULD are to be operated is going to improve then we have to look elsewhere, and here is where the three ULD CARE solutions, under the framework of the ULD Code of Conduct can deliver change. The ULD Code of Conduct is a major step by ULD CARE. We still have a certain amount of work to be done to get the background material in order and also establish an on line “sign up” process, but this is mechanics, the basic work has been done. ULD Explained is already out there and making steady headway with sales of both hard copies and ebooks. Its interesting to see that quite a number of orders come from non traditional sectors. We have much work to do to increase the uptake of ULD Explained, but are very encouraged by John Batten, Excecutive VP Cargo EMEAA, WFS, placing an order for 1000 books for their staff, lets hope we see similar initiatives from other ground handlers and cargo terminal operators. ULD Instruct is now in Beta testing. This ULD CARE solution delivers very basic instructions for people who work with and around ULD. An initial module on using forklifts is now being tested out, and work is going on with modules on basic ULD operations, ULD storage and ULD movement, with more to follow. This on line material will not be free of charge but it does come with a very low cost per unit of instruction, and has a potential to be a game changer. ULD Connect is the latest ULD CARE initiaitive. Those who attended the ULD CARE conference in Shanghai in 2012 may recall that a task force to review an upgrade of the UCR was launched at that event. Well, 5 years later we have achieved that goal plus more, as there is now a new standard for UCR messaging that is compliant with the IATA Cargo XML standards. This means that the door is open for the exchange of UCR’s that can contain more information than was possible using the legacy systems, and in particular can convey non airline name and address information rather than being stuck with just the airline standard codes such as HKGFFZZ. Coincidentally we have a futher development, the arrival of BLE, or Bluetooth Low Energy, which is the standard for transmission of very short bursts of data from machine to machine. Could we finally manage to get past RFID which has always been a promise but never a reality and see a low cost, effective solution to ULD tracking? BLE may very well be, NZ is already rolling out BLE tracking of their entire fleet of ULD by year end, and a number of other airlines are looking seriously at this opportunity. One of this newsletter’s accompanying articles covers this subject in more detail. 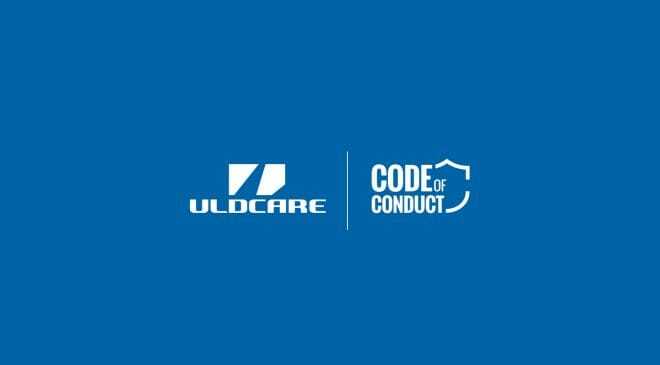 With the launch of the ULD Code of Conduct and these 3 solutions we believe that ULD CARE is delivering real value to our membership and to the industry. We are also continuing our efforts to expand the industry wide awareness and appreciation of the importance of ULD, the latest opportunity was a presentation slot at Payload Asia in Singapore. Compared to a few years back when ULD could hardly get a mention let alone command the stage we have come a very long way. This will be our last newsletter for 2017 except for our traditional seasons greeting one just before the festive season kicks in at which time we will be announcing the timing and location of next year’s conference, in the meantime as always please pass this newsletter onto any of your colleagues or associates who you feel might benefit from its content.